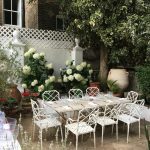 Having spent 40 years in the restaurant trade I have always had a keen interest in wine and consider myself an enthusiastic amateur ……definitely not a professional. 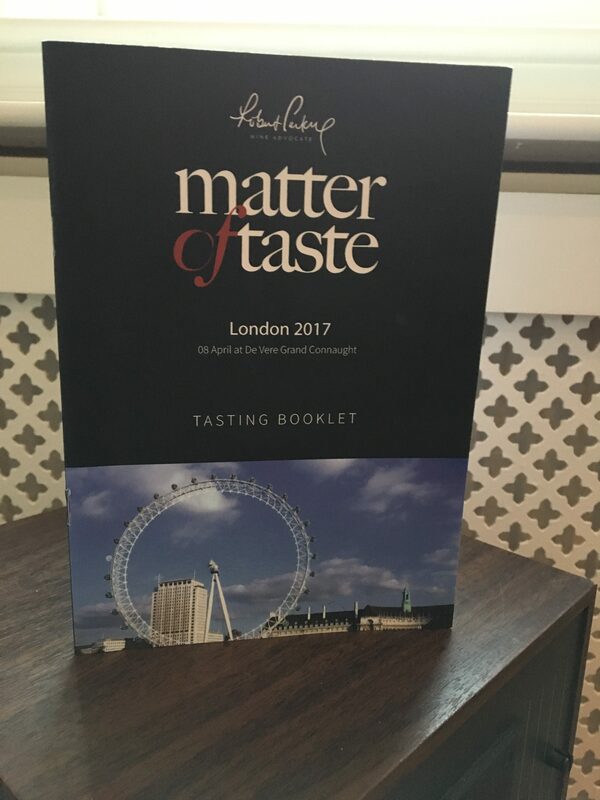 Attending Robert Parkers Wine Advocate “Matter of Taste” event in London yesterday was both a treat and an education. 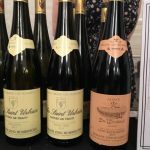 With almost 250 wines available the event was much smaller than the 2015 show at the Saatchi gallery (600 wines) with fewer visitors too. This maybe be due to the large hike in ticket prices. 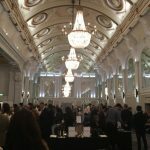 Held at the De Vere Grand Connaught in Covent Garden the wines were all in one room this time but once again the tasting booklet proved very confusing when trying to find wines and navigate the tables. The booklet lists areas alphabetically but does not include the wines table numbers (see separate exhibitors list). Example; the wines from Australia on the first page listing in the book are found on tables 3,5,7,12,15 & 18. There was a strong listing from Italy but only 2 growers from South Africa. 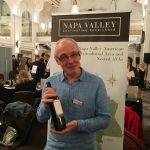 Nothing from the Rhone or Loire valleys at all…yes that’s right Nothing!! 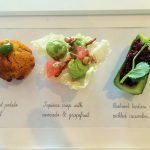 (the event did include a separate Chapoutier masterclass). 1 grower from Argentina (First alphabetically but table 48?) 2 from Chile. Nothing from regional France, and only 2 growers from Burgundy (Duroche & Verget). 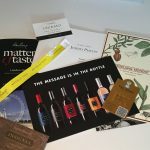 At the previous event in Chelsea there were several 100 point wines, none present this time and to be honest the point system became self-confounding (probably no such word and possibly not helped by the number of wines just too good to spit out). 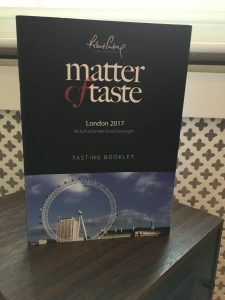 I think I understand that 95+ point wines are benchmark examples of their genre much in the same way that the winning dog at Crufts is the one that most typifies its breed but the rating didn’t really help with the tasting and created prequalified expectation; there seemed to be no correlation between a 95 point Carignan and a similarly scored Grenache for example. I found good old fashioned price to be a better yardstick for the layman. 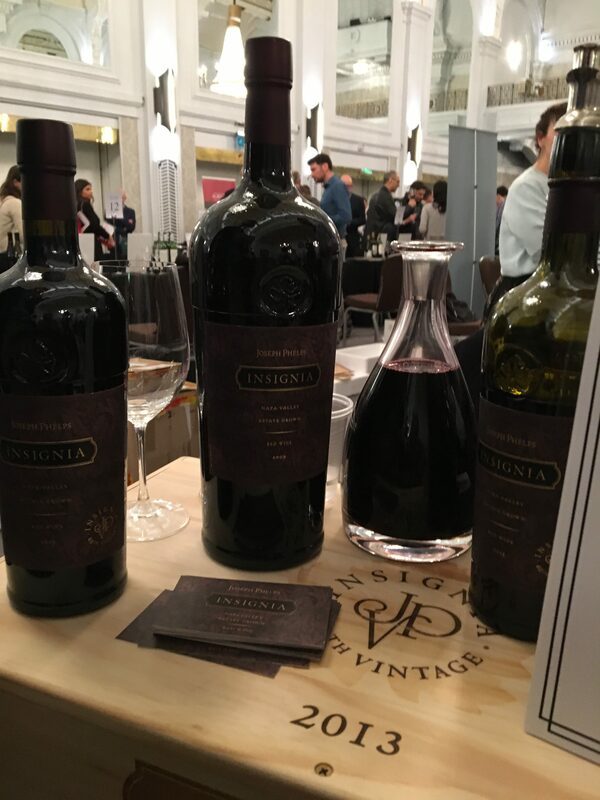 Example; Joseph Phelps Insignia was the top rated wine at the tasting 98+ points. I must say it was delicious (£235 a bottle). 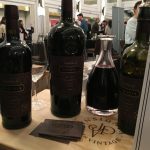 Robert Phelps Cabernet Sauvignon 2014 scored 92 points (£78 a bottle) Having tasted both I would rather have 3 bottles of the Cabernet Sauvignon than 1 bottle of Insignia and fail to see why the first wine rated so highly. 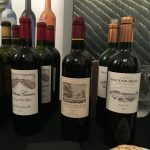 There were also some very highly rated and expensive wines from Terroir Al Limit in Spain that I just didn’t get (price or points) and although there was a strong selection from California nothing that I got excited about. 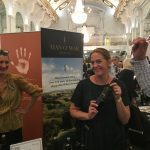 Bordeaux was represented by Batailley, Brane-Cantenac, Figeac, Troplong-Mondot and Rauzan-Segla amongst others, tasted most of these but wasn’t rushing out to buy a case to be honest. 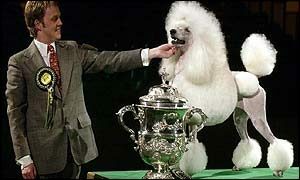 Enough of the disappointments there were some wonderful finds and great growers there too. 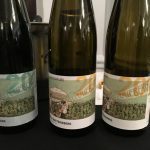 My favourite white wine of the day was definitely Zind Humbrechts Gewurztraminer Clos Windsbuhl 2015 (95 pp) floral on the nose, with exotic spice, rose petals and fresh mango (Oh yes tasting notes!!) and under 50 quid amazing value for money. 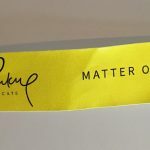 In fact the stickie’s were probably the stars of the show. 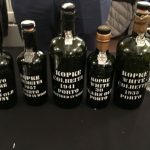 Donnafugata Passito Di Pantelleria Ben Rye (97pp) from Italy, Jean-Rene Germanier Amigne de Vetros Mitis from Switzerland (91pp) (technically Upper Rhone Valley…..that’s what he said) some mind blowing old Port from Kopke including 30 year old White Port, 1935 White Port (£1081.85p), 1957 Tawney and a fabulous selection of Toro Albala Don PX Pedro Ximenez from Andalucia vintages 1955,65,73 & 87 prices ranging from £150 but you can buy the Gran Reserve in Waitrose for under £20…. got to be a bargain!! 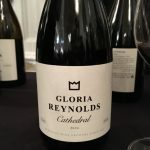 Best red for me was the amazing Tinto Gloria Reynolds Cathedral 2004 (94pp) The grapes are harvested at night, varieties are kept separate, destalked and poured into Seguin Moreau French oak vats for fermentation. After fermentation 24 months in French oak barrels. The wine is left in bottle for a further five years before being offered to the market. At about £40 a bottle this is amazing. Julian Reynolds was pouring his wines and was the most charming and eloquent ambassador for the old world, quite unfairly many passed by his table without stopping. He also showed a delicious 2005 Ruby Dessert wine, not allowed to call it Port. 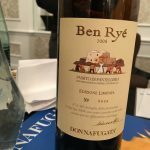 Other favourites included a great range of Tuscan wines from Bran Caia, an old favourite, and new to me Man O’War, Ironclad 2010 from NZ, available in Brixton. So yes a great day and an opportunity to taste some great wines. Many were conspicuous by their absence and for god’s sake sort the catalogue out before next time.